Renowned for her work in health professional education, and specifically, interprofessional practice and education and continuing health professions education, Dr. Barbara Brandt serves as the director of the National Center for Interprofessional Practice and Education (National Center), a public-private partnership charged by its founders to provide the leadership, evidence, and resources needed to guide the nation on the use of interprofessional education and collaborative practice as a way to enhance the experience of health care, improve population health and reduce the overall cost of care. The founders and funders of the National Center are the United States Department of Health and Human Services, Health Resources and Services Administration; the Josiah Macy Jr. Foundation, the Gordon and Betty Moore Foundation, the Robert Wood Johnson Foundation and the University of Minnesota. 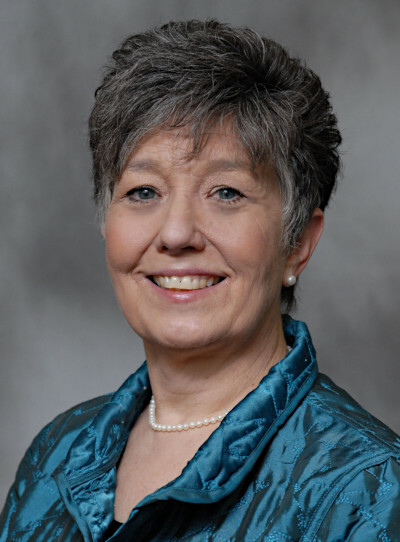 In her leadership roles, Dr. Brandt has served as a consultant, advisor and speaker for a wide variety of organizations such as the Institute of Medicine – now the National Academy of Medicine, the National Quality Forum, the Academy of Healthcare Improvement, the Josiah Macy Jr. Foundation, the Association of Schools of Allied Health Professions, the American Nurses Association, the American Speech-Language-Hearing Association and the American Medical Association, among many higher education institutions, other professional and academic associations and groups. She was a founding member of the Association of Clinicians for the Underserved, growing out of studying National Health Service Corps Scholars after placement in their first practice assignment. Dr. Brandt holds a bachelor of arts in the teaching of history from the University of Illinois at Chicago and a master of education and doctor of philosophy degrees in continuing education, specializing in the health professions from the University of Illinois at Urbana-Champaign. She completed a W.K. Kellogg Foundation-sponsored post-doctoral fellowship for faculty in adult and continuing education at the University of Wisconsin-Madison. Dr. Brandt is a fellow of the National Academy of Practice. Her honors include: University of Illinois Distinguished Alumna; Honorary Alumna of the National Health Service Corps; Fellow, National Academy of Practice, and 2018 University of South Carolina-Greenville Luminary in Medicine.